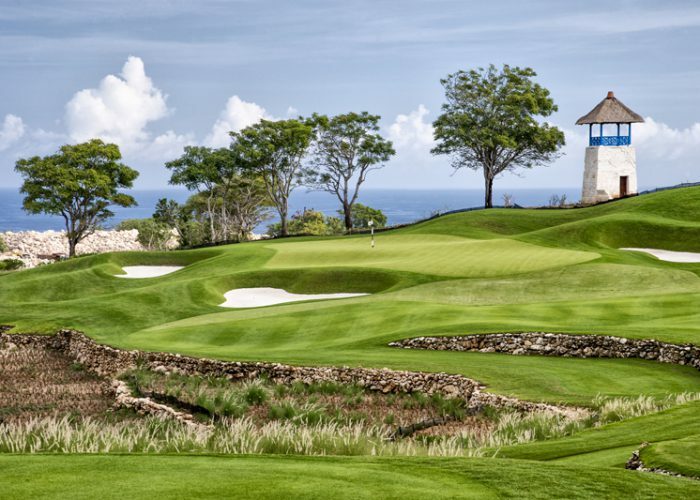 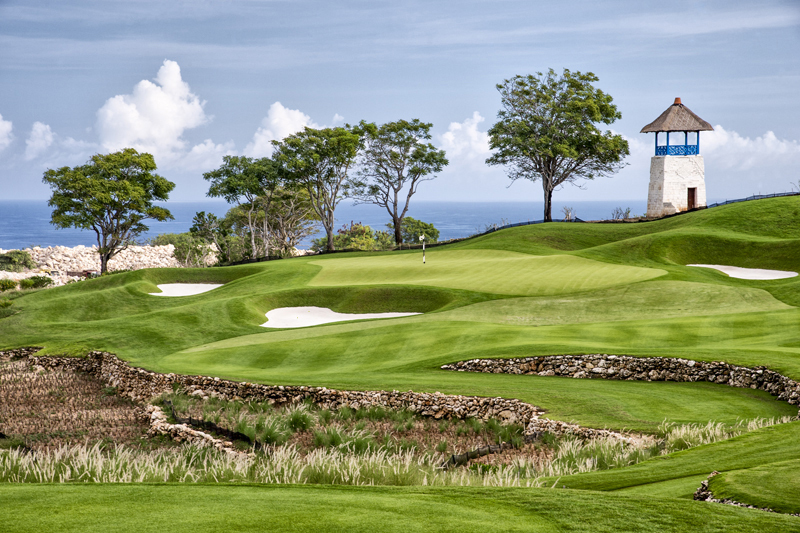 On the most southern coastline of Bali along dramatic cliffs rising from the Indian Ocean, this new 18-hole executive golf course emerges from the limestone landscape. 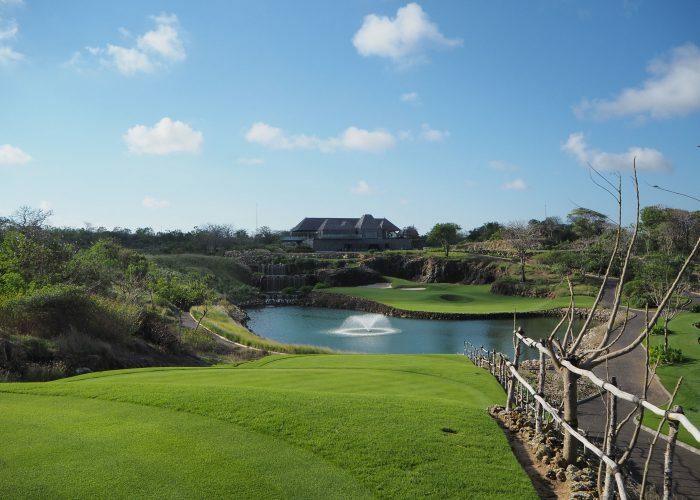 Bukit Pandawa Golf Club weaves its way from elevated ridges to ocean cliff edges and features 10 holes with ocean views. 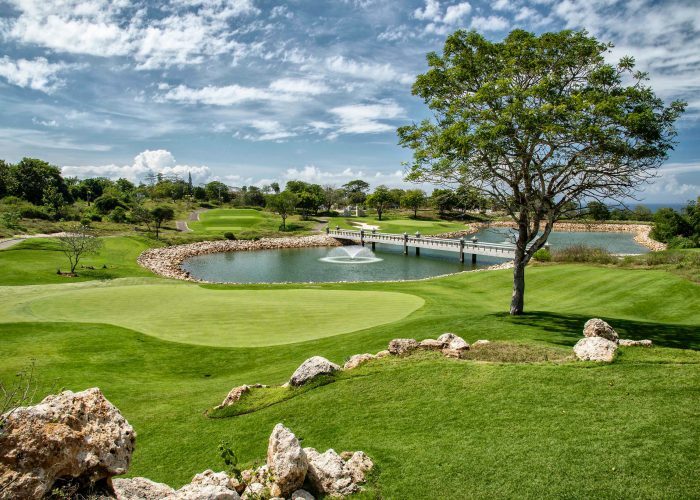 The course is centrally located amongst four new 5-star hotels that include Mandarin Oriental, Raffles, Fairmont and Waldorf Astoria. 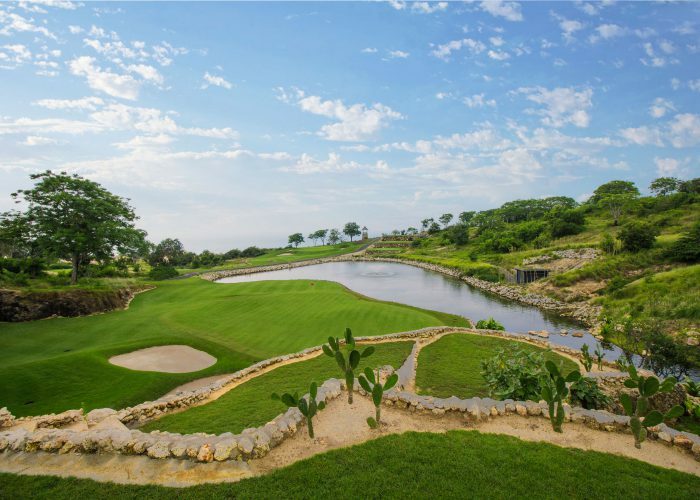 The golf course, which opened in 2016, is characterized by intricate green complexes, rock outcroppings, architectural ruins and a natural landscape theme.